If you don’t treat your asthma correctly, your quality of life will become worse over time. With AsthmaTuner it becomes easy to know which medicin to take to feel as well as possible. Asthma is a variable condition that is affected by multiple triggers. The triggers are individual to each person and the effectiveness of medications can also differ. This makes it necessary to continuously adjust treatment. It can be difficult to know exactly when and how to adjust your treatment. Therefore a lot of people are constantly over or under treated impacting quality of life negatively. The key to feel better short term and potentially get rid of asthma long term is to optimize the treatment. We provide you with objective feedback to do just this! AsthmaTuner is a self management solution for asthma. By using our wireless spirometer and our app, you can test your asthma status and get objective feedback what medication that you should take. It is seamlessly integrated with a healthcare interface to make communication with your caregiver easy. It can be difficult to know how a child feels in their asthma and support them in decisions on medication. With our solution you can follow manage your child’s asthma directly through your own mobile phone. This provides comfort that you are doing what you can to help you child manage their asthma. Through our healthcare interface you can connect with your health care professional. This makes it possible for you to get world class asthma care via video or phone. They can analyze your data over time and update your treatment plan if required – no more waiting rooms or taking time off work. Asthma is one of the most common chronic conditions. Approximately 1 out of 10 people have asthma and both over and under treatment is common and impact quality of life negatively. 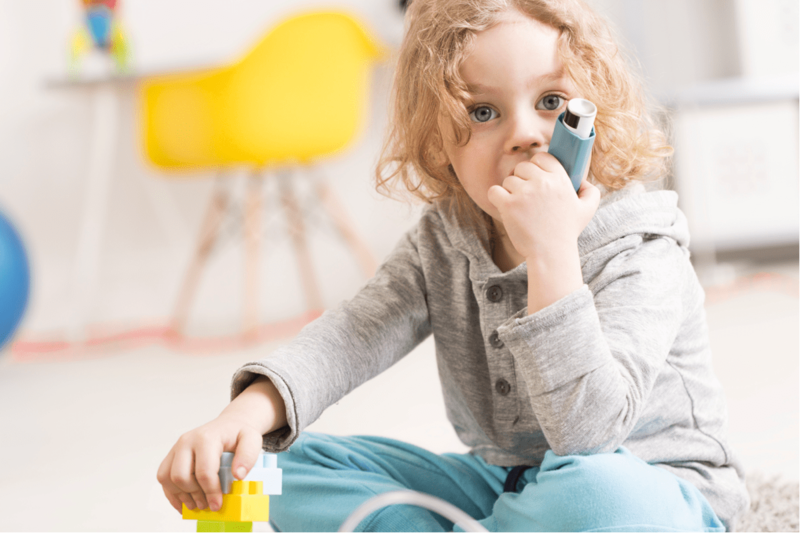 Our solution can be used by anyone with asthma. National guidelines for asthma, states the importance of having an individual treatment plan. In Sweden this is also requirement from Socialstyrelsen. Through AsthmaTuner you can use your existing treatment plan or get one from a medical professional. With the treatment plan we can give you an individual and dynamic recommendation based on your current asthma status. Since asthma can be seasonal it is important to analyze a longer period of time. This is not possible with todays methods which reduces the accuracy and effectiveness of the treatment. We store your data securely encrypted over the entire year, to capture seasonal effects and improve the care you get. You can easily see how your asthma and lung function develops over time and share it with your doctor. Set your own reminders to make sure that you never miss to test your lung function or to take your medication. Create an account for your child and manage and track their asthma in your own phone. You can also invite others like a grandparent or a teacher to follow your child. Measure your lung function with the help of our wireless spirometer. Answer four easy questions regarding your symptoms. The app shows a picture of what medication you should take and what dosage.